East Bay Mission Centre Sisters and Associates gathered at Holy Names High School, Oakland, CA on April 29 to celebrate the 70th Jubilee of Helen Clare Howatt, SNJM and the Golden Jubilee of Carol Fleitz, SNJM. Liz Davis, SNJM shared snippets about Sr. Helen Clare, including her life-long love of her city of birth, San Francisco. Carol Nicklas, SNJM shared that Sr. Carol was introduced to the SNJM community early in her life, as her aunt Sr. Mary Christine Fleitz was a Holy Names Sister. Musicians and liturgical movement enhanced the spirit of the liturgy. The joy continued through social hour and dinner as an evening of conversation, stories and gratitude unfolded. On April 22, Mary Duffy, SNJM (South Bay) and Carol Fleitz, SNJM (East Bay) celebrated their Golden Jubilee at Sacred Heart Church in Saratoga, CA surrounded by the SNJM community, relatives, friends and musicians. The presiding priest was Sr. Mary’s cousin, Rev. Anthony McGuire. 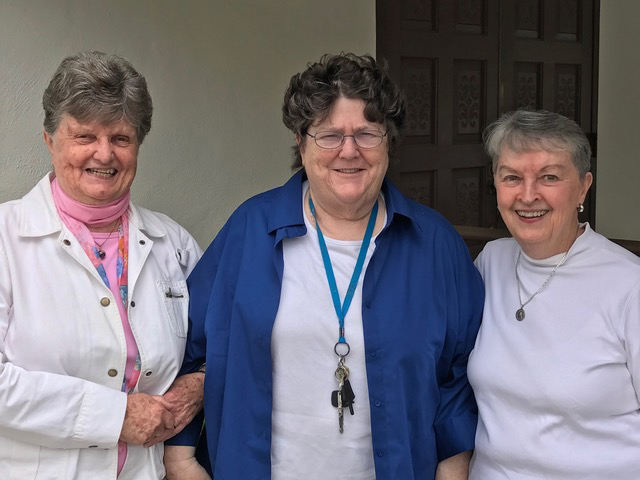 Also sharing in the joy of the day were priest friends and ministry partners of Sr. Carol and residents of Merrill Gardens where Sr. Mary lives. 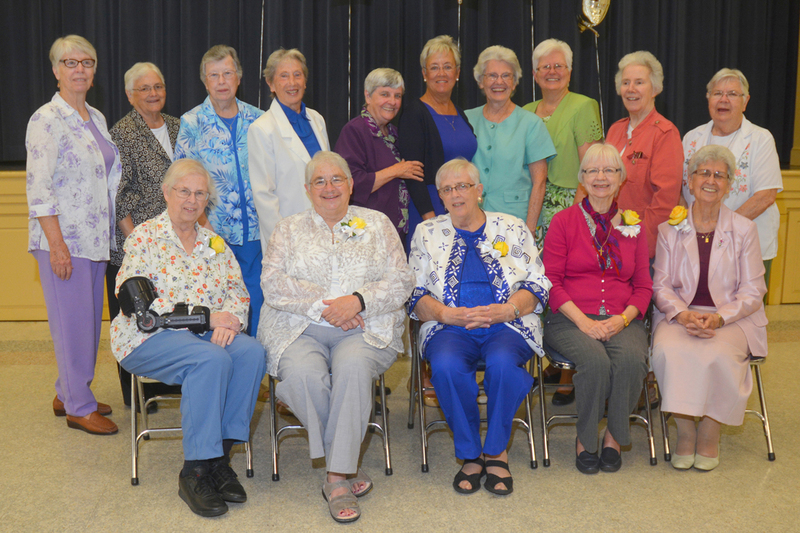 After renewing their vows, the two Golden Jubilarians surprised the seven members of their 1964 entry group, who were present. They extended their hands toward their entry group and read a prayer of gratitude and blessing for these women and the paths they chose. The celebration was followed by a lovely buffet reception. Many thanks to Joan Doyle, SNJM (South Bay) and Marilyn Miller, SNJM (San Francisco) for organizing this wonderful afternoon. 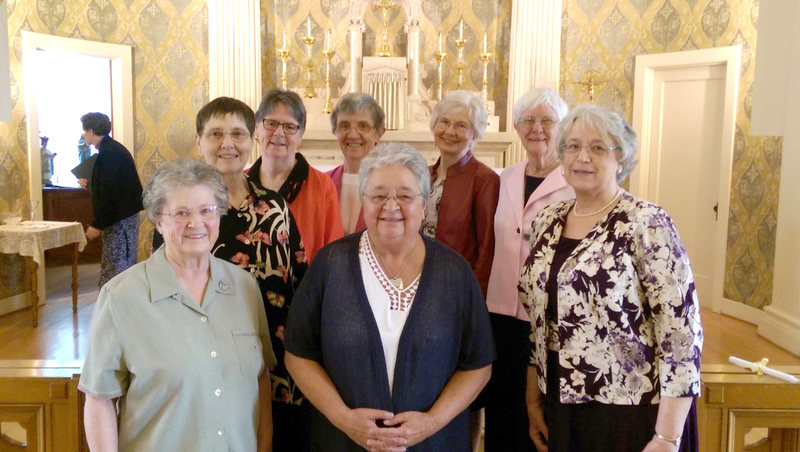 On May 14, the SNJM community in Seattle celebrated the Golden Jubilee of eight Sisters, who entered Marylhurst Convent together in 1964. Two hundred family and friends joined the Jubilarians in Holy Names Chapel for Mass celebrated by Fr. John Whitney. Mary Annette Dworshak, SNJM (Seattle) gave the reflections and the Holy Names choir provided beautiful liturgical music. Back row, L-R: Jane Hibbard, SNJM, Peggy Kennedy, SNJM, Mary Annette Dworshak, SNJM, Kay Heberling, SNJM, Charlyne Brown, SNJM. Front row, L-R: Jocie-Rhea Chism, SNJM, Roberta Lamanna, SNJM and Kathleen Hecht, SNJM. 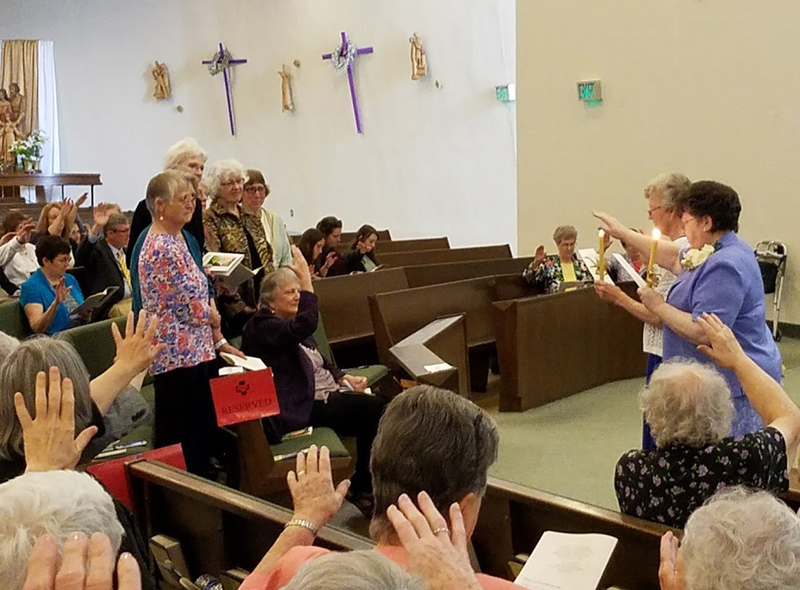 The gathering of the South Bay Mission Centre on May 6 celebrated three special events – Strawberry Day, the former California Province Founders Day and Jubilees. Much gratitude was shared for Diamond Jubilarians Joan Doyle, SNJM and Molly Neville, SNJM and Golden Jubilarian Mary Duffy, SNJM (all South Bay). 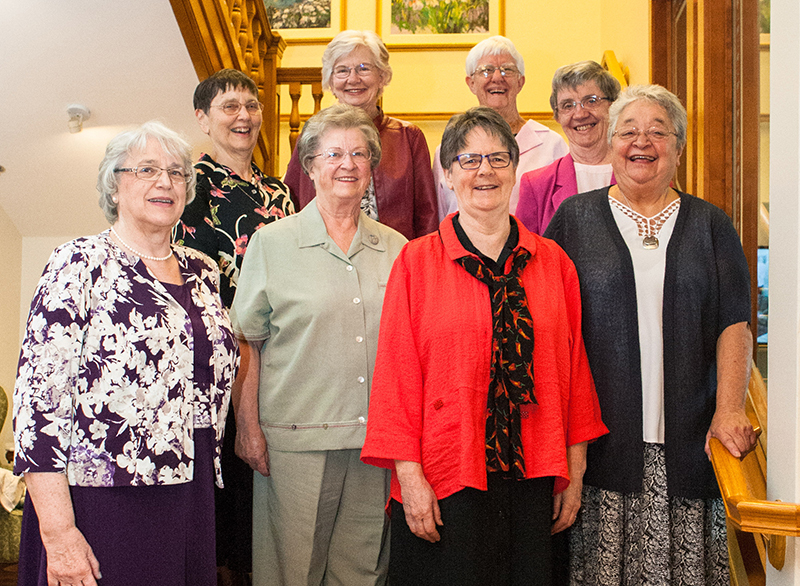 A delicious salad and strawberry dessert luncheon followed a celebratory ritual in Holy Spirit Chapel where each of these wonderful women was blessed and celebrated for her many gifts of presence, ministry and faithful witness as a Sister of the Holy Names. 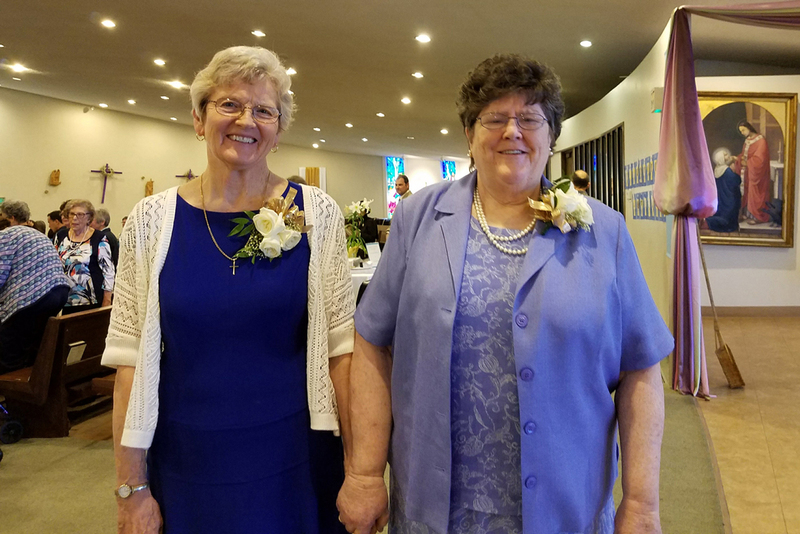 On Saturday, April 22, the Tampa Mission Centre celebrated the 60th Jubilee for Anne Brooks, SNJM, Carmella DeCosty, SNJM, Suzanne Hixson, SNJM and Mary Partricia Plumb, SNJM as well as the 25th Jubilee of Mariellen Blaser, SNJM. 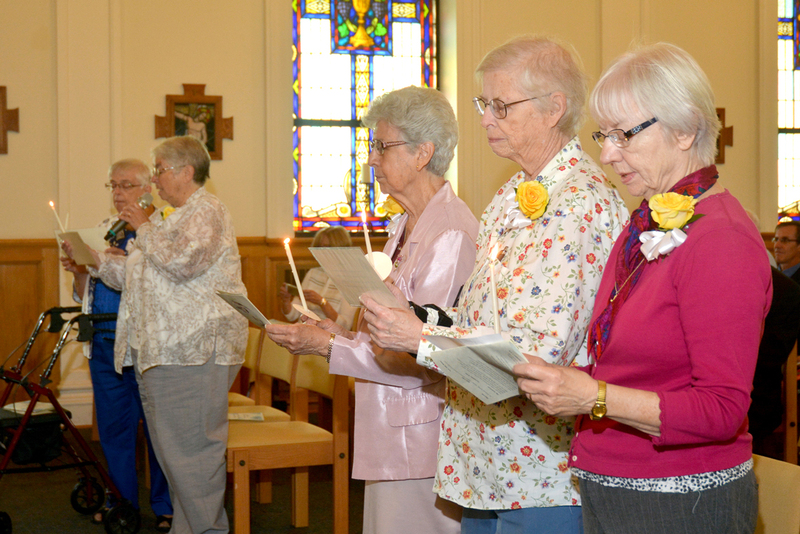 Sisters, Associates, co-workers, family and friends gathered to celebrate Eucharist in Blessed Marie Rose Chapel at the Academy of the Holy Names. Following Mass, the celebration continued with lunch in the Brady Center at AHN. Back row, L-R: Elizabeth Crean, SNJM, Mary Haskins, SNJM, Anne Celine Turner, SNJM, Kay Burton, SNJM, Ann Regan, SNJM, Pat Corbey, SNJM, Mary Glavin, SNJM, Dolores Wehle, SNJM, Mary Breiling, SNJM and Margaret O’Brien, SNJM. Front row, L-R: Anne Brooks, SNJM, Mariellen Blaser, SNJM, Mary Patricia Plumb, SNJM, Suzanne Hixson, SNJM and Carmella DeCosty, SNJM. 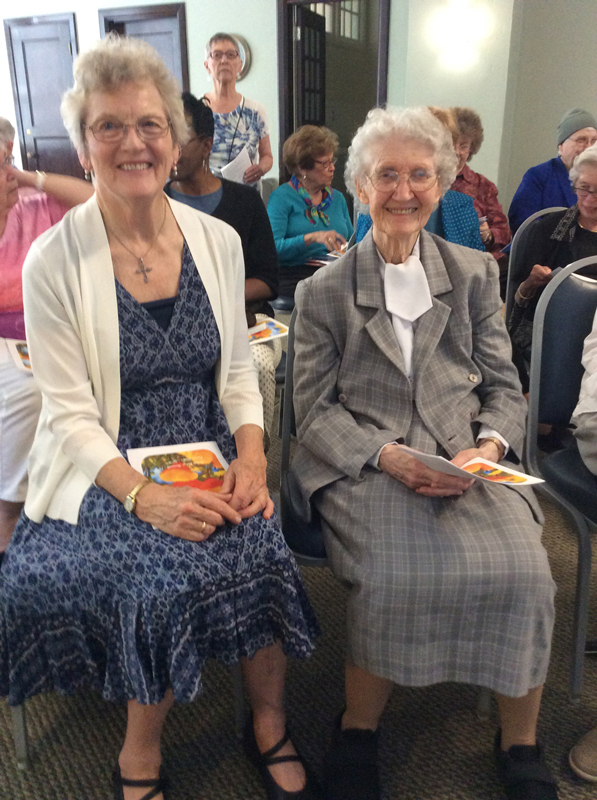 On May 21, a joyous Jubilee celebration took place at Devonshire Residence in Windsor, ON. 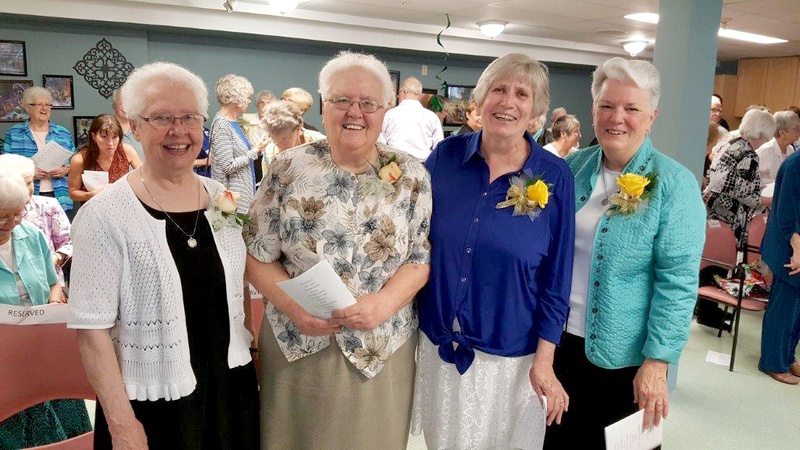 It was a time of gratitude to God for an abiding presence in the lives of Suzanne Malette, SNJM (60 years), Gloria Drouillard, SNJM (60 years), Helen Petrimoulx, SNJM (50 years) and Emma Bezaire, SNJM (50 years). The Eucharist was an Alleluia experience, which gathered some 70 participants who continued to share with one another at a delightful reception that followed. Front row, L-R: Kathleen Hecht, SNJM, Jocie-Rhea Chism, SNJM, Peggy Kennedy, SNJM, Roberta Lamanna, SNJM. Back row, L-R: Jane Hibbard, SNJM, Kay Heberling, SNJM, Charlyne Brown, SNJM, Mary Annette Dworshak, SNJM.